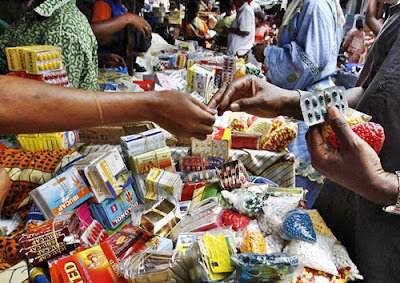 Members of the Nigerian Senate last Wednesday, listed about 42 anti-malaria drugs that have been banned in Europe but are still sold in hospitals and pharmacies and consumed by millions of Nigerians. According to the Senate, the situation is already trending and generating panic as well as concern among medical practitioners and members of the public. Against this backdrop, the Senate has mandated the Senate Committee on Health (Secondary and Tertiary), led by Senator Olarewaju Tejuoso (APC, Ogun Central) to urgently carry out a holistic investigation into the matter and report back to the Senate for further action to save the lives of Nigerians. The resolution of the Senate was sequel to a motion by Senator Theodore Orji (PDP, Abia Central). “It notes that the 42 Anti-Malaria Drugs are: Alaxin 60mg tablet (dihydroartémisinine)B/8; Alaxin oral suspension (dihydroartémisinine) FL/80ml; Amodiaquine 200mg compressed B/1000; Amodiaquine 200mg compressed B/1000; Arinate 100mg tablet (artésunate) B/6; Arinate 50mg tablet (artésunate) B/6; Arsumax 50mg tablet (artésunate) B/12; Artemax 60mg tablet (dihydroartémisinine) B/8; Artémédine 40mg capsule (artemether) B/12; Artémédine 50mg tablet (artemether) B/12; and Artenam 50mg tablet (artemether) B/14. “Also on the list are Artenam 60mg tablet (artemether) B/8; Artésiane 300mg child powder oral suspension (artemether) FL/38g; Artésunate 100mg compressed B/120; Artésunate 50mg tablet B/120; Artexin 60mg tablet (dihydroartémisinine) B/8; Camoquin 200mg tablet (amodiaquine) B/9; Camoquin 200mg tablet (amodiaquine) B/25 blisters; and others.